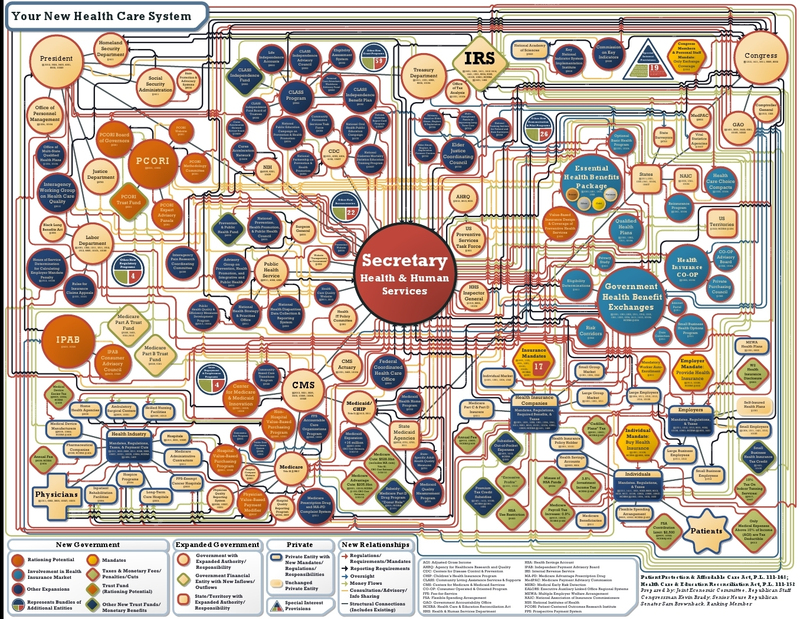 Healthcare is complicated (stop us if you’ve heard this before). We are all familiar with the detailed organization chart developed by the Joint Economic Committee, which illustrates a bewildering array of government agencies, regulations and mandates. From appropriate treatment plans, to documenting the details of the care experience, the highly fragmented industry is filled with complexity and has long suffered from a lack of coordination, high variability, and failure to tie costs to quality. Further compounding the issue, healthcare is filled with its own unique jargon. ACA, VBC, PQRS, HCC, HIE, DRG, RVU – the array of acronyms is dizzying. It can be difficult to keep up with the acronyms, not to mention the buzzword bingo that seemingly changes from year to year. With this background, we introduce our “Defining Health IT” blog series. In order to provide additional value to our subscribers and the healthcare communities we serve, we will distill a complex acronym, topic, or concept into a clear and simple explanation, with a list of curated resources to dive deeper. The Healthcare Effectiveness Data and Information Set (HEDIS®) is a tool used by more than 90% of America’s health plans to measure performance on important dimensions of care and service. HEDIS® is maintained by the National Committee for Quality Assurance (NCQA), a not-for-profit organization committed to evaluating and publicly reporting on the quality of physicians, Health Maintenance Organization (HMOs), Preferred Provider Organizations (PPOs), and other organizations. More than 184 million people – over half of the U.S. population – are enrolled in health plans that report quality results using HEDIS. Americans receive better care and can lead healthier lives thanks to the accountability and benchmarking that HEDIS® makes possible. HEDIS® consists of 95 measures across 7 domains of care, which are updated annually. HEDIS® data is collected through surveys, medical charts and insurance claims for hospitalization, medical office visits, and procedures. The NCQA collects HEDIS® survey results directly from health plans and PPOs through HOQ (Healthcare Organization Questionnaire), and collects HEDIS® non-survey results through IDSS (Interactive Data Submission System). HEDIS® results are audited by an NCQA-approved auditing firm for public reporting. The NCQA released the new technical specifications in early July. The four new measures address emerging health priorities and evolving processes such as telehealth including assessment of members who are at an increased risk of continued opioid use and assessesment of outcomes for the growing number of Medicare Advantage beneficiaries who require skilled nursing services. The NCQA has also added new measures to the HEDIS electronic clinical data systems reporting method on prenatal immunization status and adult immunization status. Four new measures have been introduced, multiple existent measures are updated, with most significant changes focused on measure for controlling blood pressure. More information on the new or updated measures can be found here. Socioeconomic status (SES) stratification is added to measure logic and outputs for four HEDIS® measures: BCS, COL, CDC-eye exam, PCR as part of efforts to understand factors that impact measure performance. Telehealth codes are added to 16 measures. Exclusions for members with advanced illness and frailty for several measures were added to accurately measure applicable populations. Certified Federally Qualified Health Center (FQHCs) can now be counted as primary care providers to achieve more consistency in rate reporting and incorporate recommendations from managed care organizations and auditors.